The Protective Footwear Warning floor sign is designed to remind employees and visitors to wear protective footwear before entering a specific area. 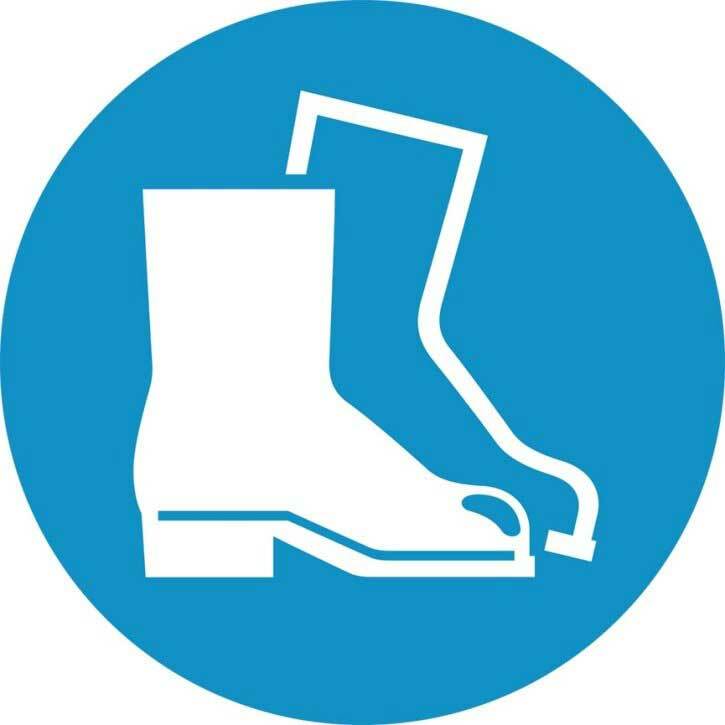 This floor sign is commonly used in warehouses, storerooms, constructions sites and other environments where wearing a pair of protective footwear is mandatory. It is essential that these warning floor signs instantly make people aware of the message, so the floor signs should be highly visible and easy to understand. 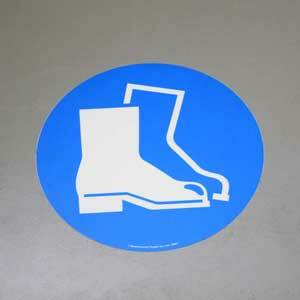 The Protective Footwear Warning floor sign has a large 430mm diameter and is bright blue with an easily identifiable symbol so ticks all these boxes. Designed to be used in busy work areas where it has to bear the rigors of heavy pedestrian use, you can be assured that each floor sign has been independently tested for slip resistance. 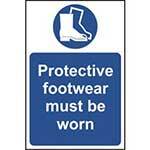 The Protective Footwear warning sign is printed on the underside of a clear PVC film and an aggressive permanent adhesive is applied to the back, making it suitable for any kind of clean, dry and sealed surface, including walls if necessary. 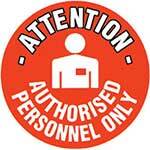 Available singularly or as multiples, the warning floor signs are durable and long lasting, making them an economical way to ensure your workplace has the right warning signs in place to keep workers and visitors safe. We will deliver The Protective Footwear Warning Floor Sign to you within 1-3 working days from when the order is received. 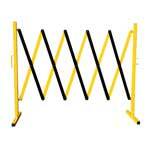 FM27 - Product is being used in our Production Area as a safety improvement. Would recommend to other FM/Safety Managers. 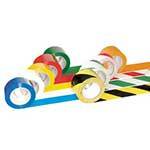 No issues with quality.